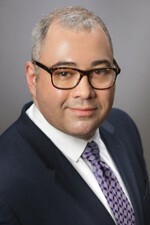 David Alfini focuses his practice on helping his clients control their risk both inside and outside of the court room. He has developed a national practice representing clients in a variety of matters such as construction defect, product liability, long term care, toxic exposure, premises liability and auto liability cases. David is admitted to practice in both Illinois and Indiana. He has also been admitted pro hac vice in more than twenty jurisdictions nationwide. His clients find that this gives him a unique outlook on litigation and issues that arise in more than one location. He handles all aspects of litigation up through trial. He has mediated cases in numerous jurisdictions and tried matters in Illinois, Maryland, Washington, Texas and New York. David draws on his experience and perspective to help them manage risk and head-off disputes prior before they become litigated matters. It is his goal to partner with his clients to help them minimize risk and achieve their business goals. David has worked with clients to develop document retention policies, snow and ice subcontractor programs as well as advising on additional insured and contractual liability. Developing policies and procedures and managing risk builds on David's life prior to becoming a lawyer. He worked for several years for Czech Ministry of Health for the Institute Klinické a Experimentální Medicíny (IKEM) in Prague, Czech Republic. Part of his duties included drafting policies and procedures consistent with European Union (EU) standards. David holds an undergraduate degree from New York University (NYU). He earned his JD from the Indiana University Mauer School of Law in Bloomington, Indiana. He also earned his MA in Slavic Languages and Literature while at IU. He is fluent in Czech and active in the Czech Community in Chicago. Active in promoting diversity both inside and outside of Hinshaw, David is proud to be a member of the team at his firm that obtained a 100% rating in the Corporate Equality Index from the Human Rights Campaign (HRC). His charitable activities center on promoting the arts, theater and diversity in Chicago. David lives and works in Chicago. He is an excellent tour guide and always enjoys introducing friends to the joys of Chicago.